Thomson, Ramkhamhaeng, is situated in the nightlife and shopping hub on the famous Ramkhamhaeng Road of Bangkok. 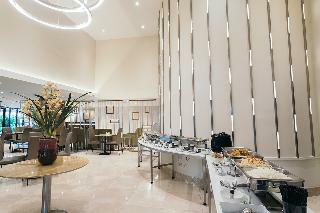 Comprises of 199 rooms offering sizes from 33s qm to 132 sqm giving you the most comfort 5 star hotel experience alike. Thomson, Ramkhamhaeng, is conveniently located adjacent to the Mall Shopping Complex in Ramkhamhaeng; it is easily accessible and only minutes away from the Ramkhamhaeng Airport Rail Link, Suvarnabhumi International Airport, Ramkhamhaeng University, Trail International School and many more fascinating attractions. 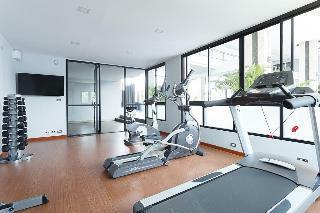 Thomson, Ramkhamhaeng, is no doubt your perfect ideal residence in Ramkhamhaeng. 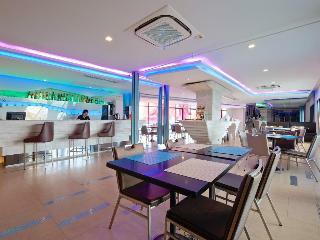 The hotel is located in the Ramkhamheng precinct of north east Bangkok. It is easily accessible from the new Suvarnabhumi Airport, which is only 20 km away from the premises via the RAMA 9 motorway. This air-conditioned hotel comprises a total of 268 rooms. 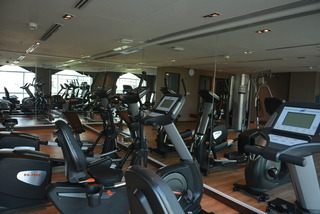 Facilities include a café, a bar, a restaurant and conference room. All accommodation units are well-equipped as standard featuring direct dial telephone, satellite/cable TV and Internet access. Air conditioning is centrally regulated. In the I CAFE, guests may choose from the menu, pasta or daily blackboard specials. 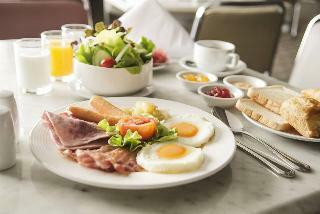 This conference hotel enjoys a central location by Ladprao and Ramkhamhaeng Road. Nearby attractions include Rajamangala National Stadium, which can be reached in just 5 minutes on foot, and the National Institute of Development Administration, which is 10 minutes away. Ladprao station is 15 minutes away and provides easy access to all major local tourist destinations. Don Mueang International Airport and Suvarnabhumi Airport are 15 and 18 km away respectively.This is an affordable budget hotel in central Bangkok, which is ideal for the business travellers needing to be close to the city during the week and for leisure travellers on weekends. Renovated in 2008, the conference hotel comprises a total of 172 guest rooms and suites spread across 8 floors. Guests are welcomed into a lobby with 24-hour reception and check-out service, a hotel safe and currency exchange facilities. On-site facilities include lift access, a cafe, a bar and a restaurant, as well as conference facilities and room and laundry services. Guests arriving by car can leave their vehicles in the nearby car park.The hotel rooms offer individually regulated air conditioning, a minibar/mini fridge, an international direct dial telephone, satellite/cable TV with remote control, a private terrace with table and chair, and a shower room with amenities and hot and cold running water. The beds are double/king-size, ironing sets feature, and hairdryers are available upon request. Guests can store their valuables in the safes at the hotel's front desk.An international selection of dishes is served daily in the restaurant for breakfast, lunch and dinner. Guests can sit inside or out or can visit the Metro restaurant with its extensive à la carte menu and occasion BBQ dinner. Welcome To The Xtreme HotelBecause of its extreme sporting activities, this has given the hotel its unique title of Unique Extreme Design, the first of its kind in Bangkok. This Hotel has all the viable transportation available for you, located in Hua Mark Street, close to Suvarnabhumi Airport, easy access through Airport Link (Hua mark station), and also close to the expressway. 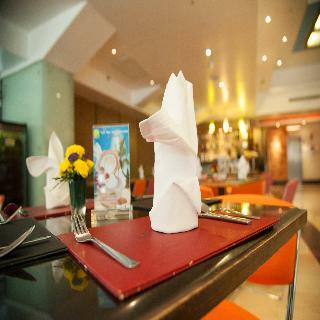 Vast amounts of restaurants, shops, and landmarks are located all around the hotel. Experience a vacation away from the chaotic atmosphere of central Bangkok, and explore new and exciting sights with Xtreme Hotel.